The Constitution provides that Congress has the power to impose taxes and borrow money to “pay the Debts and provide for the common Defense and general Welfare of the United States.” This authority is generally referred to as the “Power of the Purse,” meaning the power to control what money is raised by the national government and how it is spent. The power to tax and spend granted to and wielded by Congress is no different than the power wielded by all rulers, whether called King, Caesar, Pharaoh, Sheikh, or Emperor. 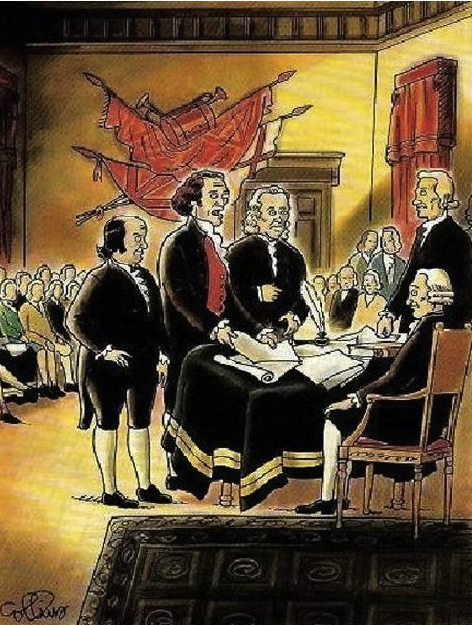 The framers of our Constitution intended that the power of the Congress be limited, but in these modern times, Congress uses the tax code not only for the purpose of raising revenue, but also for reasons having to do with public policy. A common example of using the tax code for public policy reasons is the provision of the tax code that permits a taxpayer to reduce his or her taxes by allowing the interest paid on a mortgage note to be deducted from the taxpayer’s taxable income. The theory is that by allowing the mortgage interest deduction, Congress’ will, through the tax code, influence people to buy homes, rather than rent, which is a public policy goal. This particular tax break is only one of many that are found throughout the tax code: a tax break to encourage green energy production; a excise tax on a pack of cigarettes to encourage a smoker to quit; an excise tax on a gallon of gas to encourage the motoring public to drive less. Congress does not have the power to pass laws which mandate the behavior of citizens and directly address these issues. Rather, Congress uses the tax code as a blunt tool of persuasion to achieve social, economic and yes, political goals. Most federal laws, whether major or routine, contain some provision that affects the tax code. It is no wonder that the tax code is voluminous, complex and often contradictory. It has been written piecemeal, over a long period of time, without a unifying vision and often times for reasons having more to do with pubic policy, rather than the raising of revenue. It’s time for Congress to be honest with itself and accept the fact that its power is limited. It’s time for Congress to simplify the tax code and get back to the business of providing for the common Defense and general Welfare of the United States. This entry was posted in Legal Opinion. Bookmark the permalink. Post a comment or leave a trackback: Trackback URL.